When we’re on a path of personal growth, one of the most important things we must do is embrace our vulnerability and be willing to get honest in order to experience miracles and radical shifts. 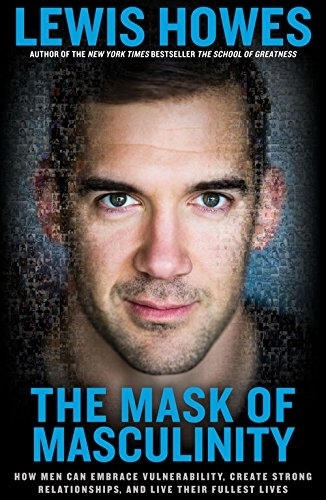 My dear friend Lewis Howes realized that he struggled to embrace his vulnerability. Growing up as an athlete, he couldn’t connect with messages about vulnerability because the language didn’t speak to him and his friends. Lewis realized this block was keeping him from living up to his fullest potential and forming truly deep relationships. So he set out to write a book that would help him heal and resonate with men who could relate to his experiences. The amazing result of that effort is Lewis’s book The Mask of Masculinity. And I recently got to sit down with Lewis to talk about it! I know this book will be the catalyst for many powerful breakthroughs for men and women alike. Lewis uncovered the nine masks of masculinity that hold men back from true fulfillment, and he offers inspired and practical guidance on how men can remove the masks in order to love, connect and be their real selves without self-doubt or apologies. The Mask of Masculinity isn’t just for men. It will also help women better understand and support their partners. And if you struggle to embrace your vulnerability, it will help you experience beautiful shifts. I love this conversation! Watch it below and order The Mask of Masculinity here. my man… seems to go the opposite direction of aggressive or angry to empty, procrastination.. very non aggressive especially when its important to run his business.. He has no guy friends that he can share stuff. his only best friend he had no longer talk or hang out..
OMG My husband is so unavailable… to me. to our kids… what an insight.. Thank you this book sounds amazing. How do we share this interview? You can share the link to the post. This could not be more needed in the world today, AMEN Lewis! I have a husband and four sons who can benefit from your courageous work. This video came in the very right moment. This morning I woke up wondering if my boyfriend is upset with me and how to get him talk about it. Thank you both. Beautiful. So happy to hear that. Thank you for being so real Lewis. I just want to add that I agree many men are wounded and wear masks, and hide their true self. My child s father lives this way and his inability to be his true self led to mistreatment towards me. He was passive aggressive, cheated, and lied. I did The whole he’s a wounded boy thing, but we can’t make excuses for abuse just bc the man is wounded. We can have compassion, but sometimes women need to leave the relationship, which is what I did. Now I’m coparenting with this wounded man and he can still act cruel at times. Awareness and tools are great, but I want to be sure women know mistreatment is not. I’m sure your book will help many people. Does your book have tips on how to get our man to open up and be vulnerable? OMG. This is exactly what I needed. I have a detached husband and oldest son and I really needed guidance. Thank you, Universe! This is perfect! I cried when you said to communicate that you are here to listen if they want to talk. I wish I didn’t have to wait so long for the book! 😀 Thank you, Lewis, for your vulnerability and courage to write this book and get this message out there. I am getting this book for me! And I hope my husband will also be open to read it. How do I listen to the podcast from a pc? I don’t have an iphone. Thank you Lewis and Gabby for this. Over the years, as a spiritual feminist and loving activist, I gathered a lot of inspired male friends (cis/trans, hetero/gay/pan-sexual) around me and I just felt the inspiration to send them an email and start talking about what their thoughts are on this interview and ask them what I can do as a woman to support men. I thinks it is going to lead to awesome conversations with them which we can also continue offline. Because of this interview I’m realizing how they can help me grow in this area so I can heal and improve the relationships I have with the men in my life that are less emotionally available, like some of my relatives. Thank you so much! Also a big shout out to all the men that ARE doing the work, because I know you are out there. My ex was French, & the French are very open with their feelings. Im from Australia so I dont know who you are but your hawt. Great resonance while watching the clip Gabby, thanks for posting! Great interaction and balance between you both. Through your books, website, Youtube channel, you’ve been a great source of inspiration for me for some time now. I am one of these men with an above average interest in spirituality and self actuation, so for me it was easy to tap into the lessons that you share. Nevertheless, there have been times when I felt a little disconnected. When I wanted to know more and clicked through your website, I would see pink colors, females, females, and more females attending your seminars. Don’t get me wrong, it all looks great and honest, but as a male I still had this little voice saying “stay clear of this, it’s not for you, it’s for women!!!”. And it’s all pretty normal, because… almost everything in this field is marketed as “women only”. My wife bought me a yoga magazine once, and it’s all… women! A magazine on spirituality? Women! Yes, there’s the occasional article on “a man”, but that’s it. And then this posting came… right in time (like all things), showing the “other side” of the story. We really need both you know, men should not just be “men”, and women should not just be “women”. And times are changing thankfully, in my yoga class of 10 there’s 3 men now, I get much more opportunities to talk about this stuff to others, including my dad and some of my male friends, and postings like this are appearing on your website. Part of this is probably my ego talking that I need to see male role models in this. Probably I should be able to do without, but still I’m very thankful that you showed me this one! Thanks Gabby! I'll continue to keep my eye out for resources aimed at men that I can share! Love it but people around me doesn’t speaks english so if I Could find it in french, it would be great. Thank you anyway, loved what I’ve learnt. 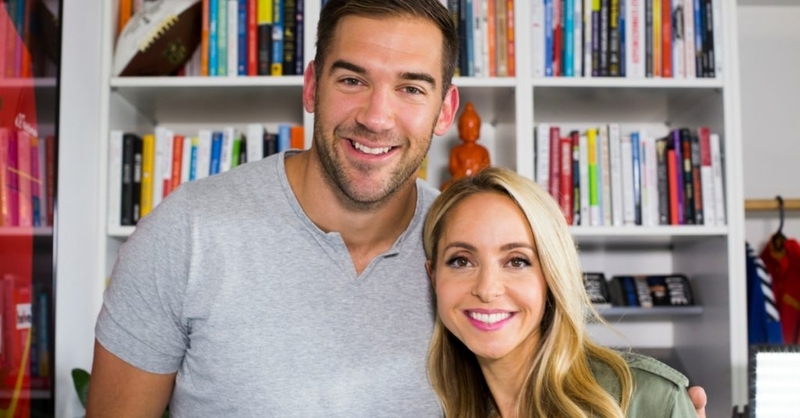 I watch/Listen to Lewis Howes all the time….I love this man!!! I’m a little confused. Is this book only for women to understand the men in their life, or is it helpful for men to read it? I honor the work you do. Thank you for sharing your truth here, Herb. I love the idea of taking off the mask, thanking it for its help and protection, and putting to to rest. The masks we wear, our fears, the walls we put up, they all served us in some way when we had no other way of helping or protecting ourselves. But there comes a time to release.